An 80 year old man was transferred from a rural hospital after a fall from a chair he was standing on while reaching for a packet of biscuits. He sustained left-sided chest injuries. This is on the background of a recent admission at a tertiary hospital. His CXRs are shown below. Q1. What do the CXRs show? 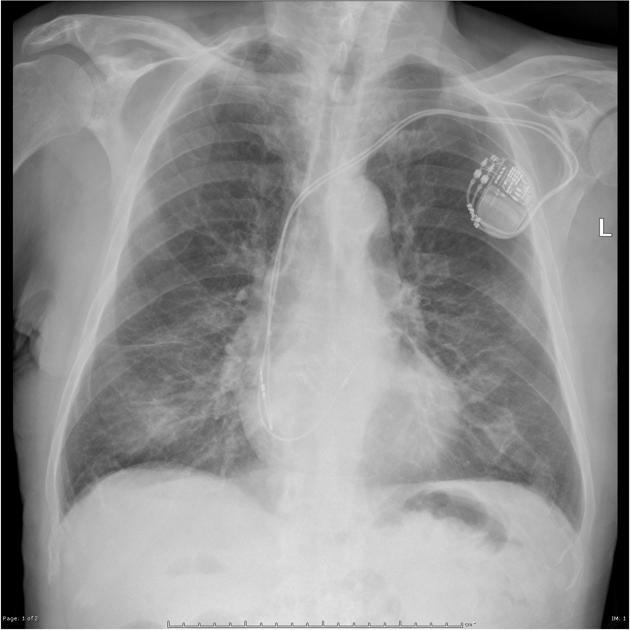 Dual-lead left-sided pacing device in situ. The lungs show changes consistent with COAD. Ill-defined opacity isdemonstrated in both lower zones represents overlying soft tissues superimposed on ribs and pulmonary parenchyma. there is no pneumothroax or subcutanesous emphysema. Rib fractures may not be visible on a CXR. A CT chest is often warranted to further define the injuries. Elderly patients with rib fractures, even in the absence of other significant findings on CXR often warrant admission to HDU to monitor complications and optimise analgesia. 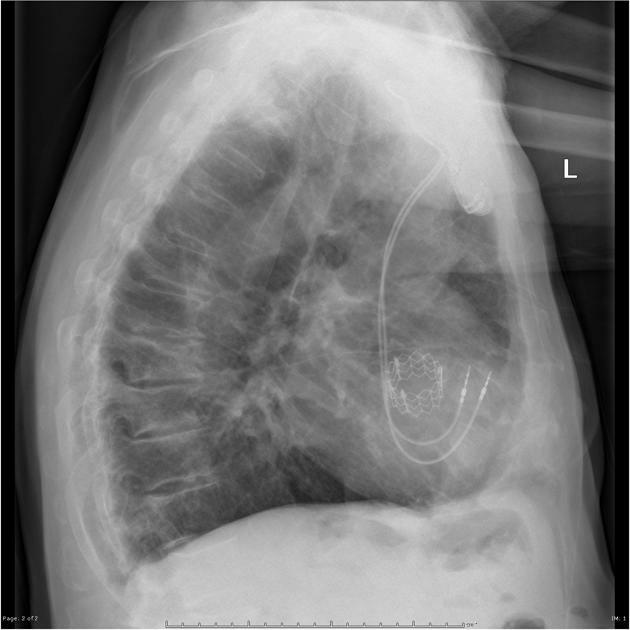 Always consciously look for and actively exclude a pneumothorax on any CXR you look at. Q2. What is the significance of the TAVI? The TAVI was the reason for the recent tertiary hospital admission. Such patients are typically on dual anti-platelet agents aspirin and clopidogrel, and thus have a bleeding diathesis.